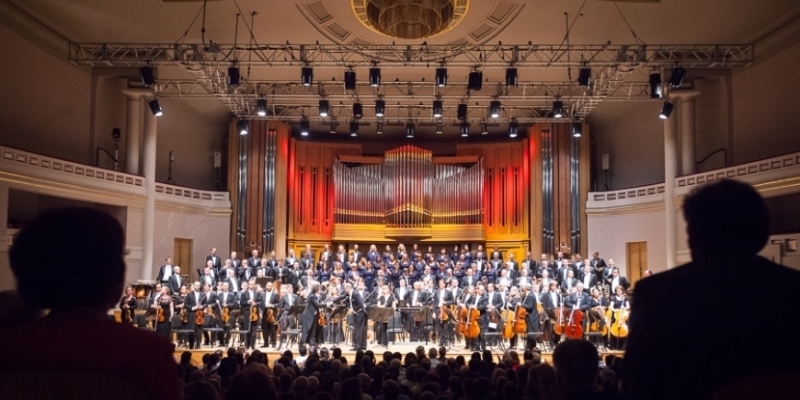 Brussels (7 July) – The opening gala concert in Brussels continued the pleasant tradition maintained by the various presidencies of the Council of the European Union. Slovakia decided to organise this significant event in BOZAR, the highly prestigious cultural centre. The gala concert was attended by more than 1 500 guests – representatives of the EU institutions, ambassadors, diplomats and the community of Slovaks working in Brussels. The concert was opened by the President of the Slovak Republic, Andrej Kiska, in the presence of the Slovak Minister for Foreign and European Affairs, Miroslav Lajčák, and the Belgian Minister for Foreign and European Affairs, Didier Reynders. "But we need to rebuild trust and our self-confidence. To demonstrate that we are able to live in this big family not only to celebrate milestones and achievements, but also to tackle mistakes and weaknesses." According to the Slovak head of state, we can agree that the European Union and its Member States have sufficient internal resources to overcome any difficulties. "But we need to rebuild trust and our self-confidence. To demonstrate that we are able to live in this big family not only to celebrate milestones and achievements, but also to tackle mistakes and weaknesses", said President Kiska. "Because that's what real life is and the European Union is not immune to the risk of complicated reality", he added. A rich cultural programme featured the orchestra and choir of the Slovak Philharmonic, conducted by Rastislav Štúr. The famous opera soloists Jolana Fogašová (soprano), Pavol Bršlík (tenor) and Štefan Kocán (bass) performed well-known opera arias from the world's repertoire. The gala concert programme also included works by Slovak composers Eugen Suchoň and Ján Cikker, the founding personalities of Slovak national music. The choir, led by choirmaster Jozef Chabroň, performed Suchoň's composition Aká si mi krásna (How Beautiful You Are). At the end, the audience rewarded the performers with enthusiastic applause and a standing ovation.